All of us experience times of darkness. These dark times are usually the result of the hardships life gives us: the death of a loved one; serious illness; broken relationships with family and friends; failed dreams; economic setbacks; the apparent darkness of the violent and unjust world in which we live; exhaustion from the demands of daily living, etc., etc. Often, in these times of darkness, we cannot find the light on our own. We need others with whom we can share our story, and who can help guide us to the light I believe the promise of the Kingdom of God, which we celebrate on this “Feast of Our Lord Jesus Christ, King of the Universe'” can help us guide others through dark times. The hope of this kingdom, which is the core of the preaching of Jesus and of our faith, can help us to look “beyond” our dark times to discover light. It is not so much a matter of getting “over” the dark times (I have still not gotten “over” the suicide death of my younger brother nearly forty years ago and, hopefully, never will!!). as a matter of going “through” the dark times by looking “beyond” them to the time when the light of God’s unconditional love overcomes all darkness. Good’s nonviolent, unconditional love is the “Truth” to which Jesus testifies before Pilate in today’s Gospel, and which he embodies in his nonviolent response to those are about to endanger his life and put him to death. This Kingdom, although not fully developed, is already among us. 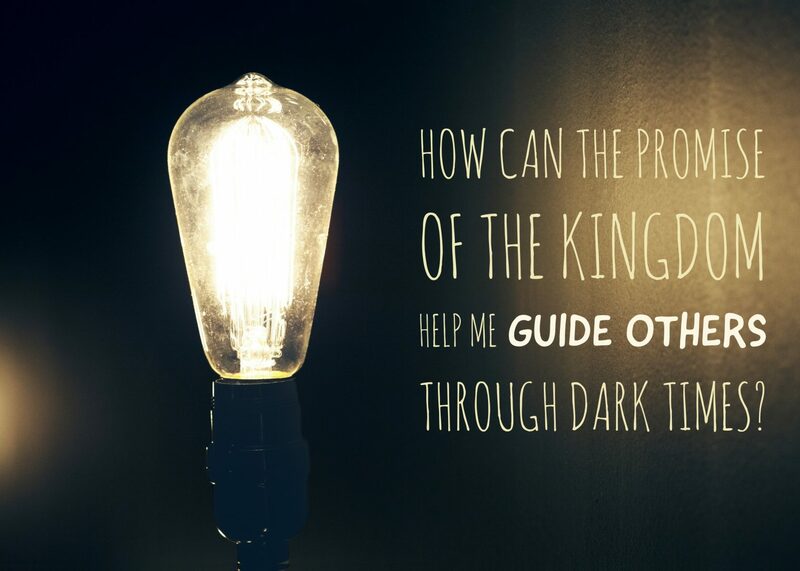 I believe that sharing our hope and belief in the Kingdom of God with those experiencing dark times, and by surrounding them with the values of the Kingdom, can help guide them through dark times. Those who embraced me with God’s unconditional love and Kingdom values, and who compassionately listened to my story and acknowledged my pain, have guided me through the dark times in my life. It is how I, in turn, attempt to guide others.